Come make stencils and then go out and make femme visibility street art! 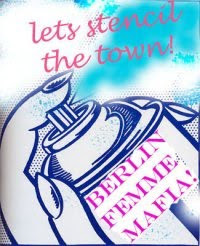 Berlin Femme Mafia – first meeting! Here is a brief run down of the meeting. I also have the meeting recorded so if anyone wants a copy or would like to listen to it sometime just let me know! I thought recording the meetings would be a good way of keeping track of what has been discussed. In a typical scenario someone would take notes, but this can often mean that the person taking notes isn’t so able to join in the meeting. And taking notes can be a pretty big task if a lot is being discussed. But if anyone is unsure about us recording the meetings then let me know. The recordings are just for us and we can decide what we want do with them. I also thought it would be cool to have this sort of archive of how we progress as a group – maybe on our one year anniversary we can listen to the first meeting and feel nostalgic! As this was our first meeting, a large part of its content consisted of introductions and a general discussion of our experiences as femmes. To give a brief list* we talked about coming out as femme, our different experiences as femmes - also relating to this is those of us who are from or who have lived in other countries, the search for femme community, experiences of hostility and femme phobia, dating experiences, how we relate to our gender, how we conceptualise our gender, gender fluidity, limitations in the current gender system and so on. We spoke about feeling expected to compromise ourselves – i.e. be less feminine, in order to not be ignored/be taken seriously/be visable. We also discussed performing as femmes – we seem to be a big group of performers! There was also a discussion about the recent article ‘Schone lesben’ and the related photoshoot – fortunately you were all here to give us the inside story! We also spoke about the need to expand on femme and femme gender to make it more inclusive, i.e. so that there is more solidarity among feminine queers of all types, regardless of whether or not they identify as femme. Stencilling and graffiti – this is taking place pretty soon! The plan is to meet at Elliat’s apartment, Wednesday 25th at 20.30. Going out as a group of femmes, especially to less femme friendly queer venues – we all seemed pretty into this! We also discussed the possibility of having coordinated outfits, or something marking us out as a group (the same coloured scarves for instance). It was suggested that we use the mailing list to contact each other when we want to femme-up go out in the company of other femmes. Radical cheerleading – this is something everyone is welcome to join in. Since the weather got cold our previous open air practise arrangements don’t seem so practical. I’m working on finding an indoor venue. Instructional videos related to being an ally and/or calling out femme phobic behaviour – we want to make some instructional videos about our experiences to hopefully create a more appreciative attitude amongst the queer community! I think this was a future project in the sense that I don’t think we made any concrete plans to put it into action just yet. Lets start thinking of some ideas! The action plan is that Kla is going to speak to the promoters for Soap party to see if we can perform there at their next night, December 11th, and Katinka is going to book Lux for Febuary for our big extravaganza! Kla has also suggested rehearsing at her house. Take back the night march – this is another item for the future, how far in the future we haven’t decided upon. This idea was raised due to the high level of harassment that femmes and feminine people experience in Berlin. The idea of the action is to march around areas of the city, particularly those that are not usually safe to go alone at night and make a strong femme presence with lanterns and banners and so on. 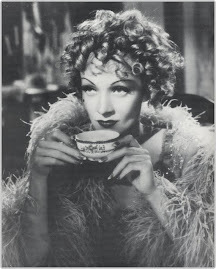 As femmes seem to be a particular target in Berlin I would like this to be a femme lead event. It also emphasises that being safe on the street regardless of your appearance is a feminist issue. Take back the night marches have been traditionally women only, but I am personally in favour of all queers being welcome. So that is our action list so far! We have also since been talking about meeting as a group for more parties, dinners, film nights and so on. The community building aspect of a femme group is particularly important, especially as a lot of us have experienced problems with a lack of community. Please use our current resources (the facebook group, mailing list and blog) to share further ideas and thoughts! * These are all important subjects but I wasn’t sure how much people wanted to hear about the discussion rather than the actual agenda. Yes its true, we are finally having our first meeting! We wanted to kick things off in style so we are having a fabulous dress-up dinner which we are going to combine with a meeting/action planning! Please come along, bring any food and drink you want with you and feel free to dress up as much or as little as you want! The meeting/dinner is for femme identified folks only, but we are also having an after-meeting at Silver Future for our allies and fans! Please spread the word and invite anyone who you think might be interested. Bring your ideas, femme friends, plans and fabulous selves! 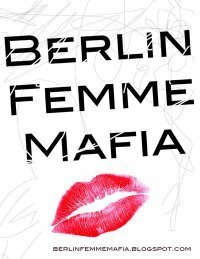 The meeting will start at around 20.00, the address is in Leinestraße, please email for the exact address: berlinfemmemafia@gmail.com.